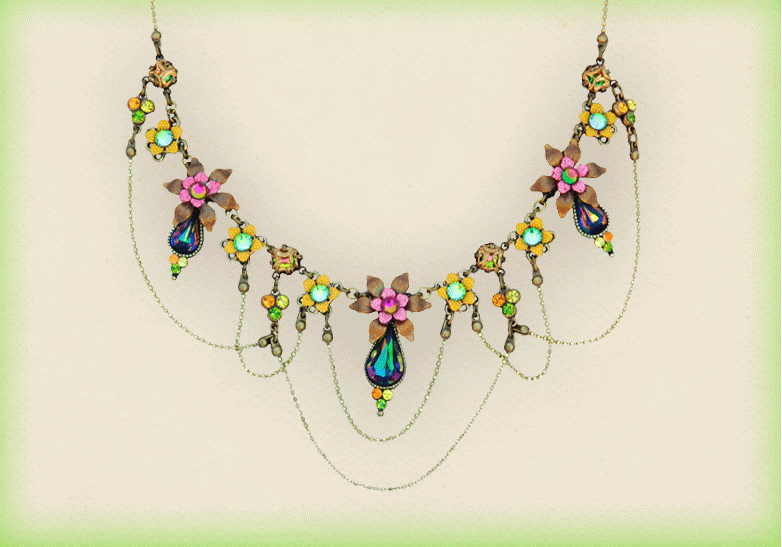 Description: This necklace is a bold burst of spring, blossom and color. 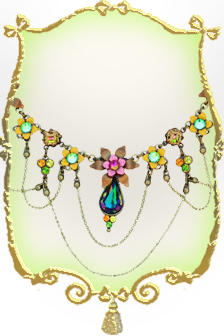 The unique balance created by a trio of flowers alternated with a simple flower and a dangling tassel is a breath taking piece of artwork. The center flower is a gallant creation with pointed petals, with a softer flower sitting on top of it. A metalwork base is connected on both sides of the flower which is home to small flowers with center stones. A tear drop crystal sits at the bottom of the center group. This group of flowers is alternated with small flowers with elegant dangling tassel to add a touch of youthfulness and style.